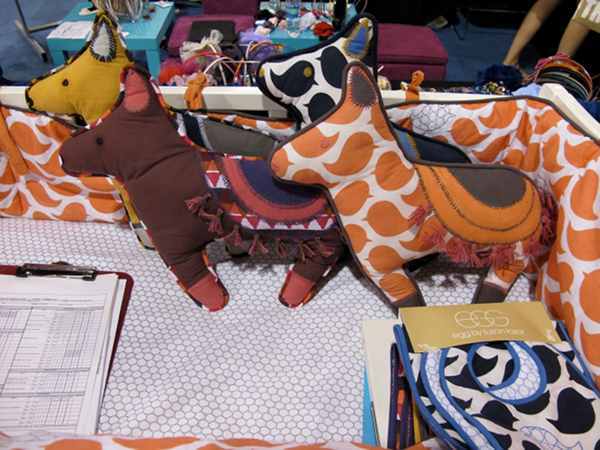 ABC Kids Expo - the very best of the rest! 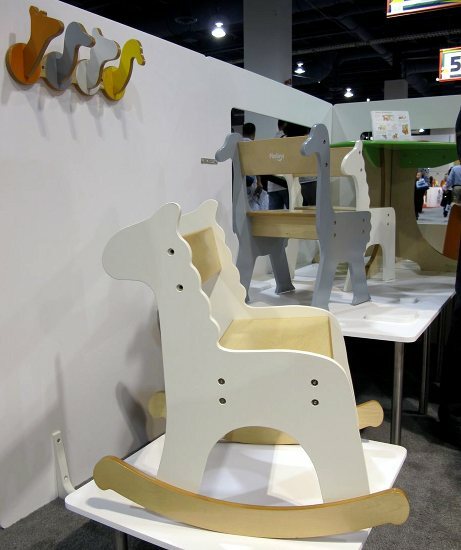 ABC Kids Expo – the very best of the rest! 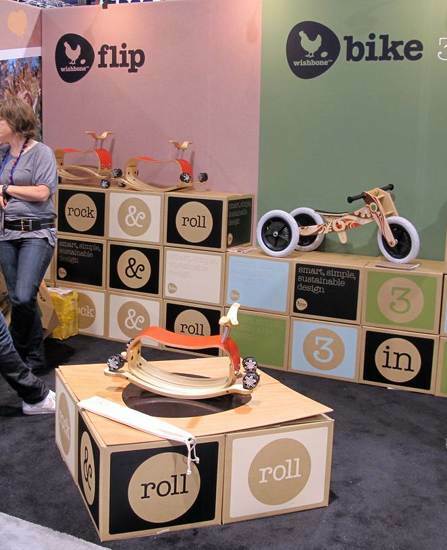 We’re still mourning the end of another great trade show – ABC Kids Expo in Las Vegas which was in full swing earlier this month. We had the very fabulous Natasha on the ground at ABC checking out the latest gear for babies and children. 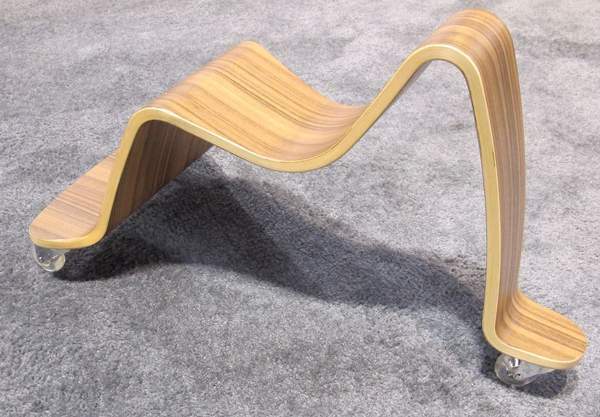 We’ve already brought you the best of the furniture and now here’s the best of the rest! 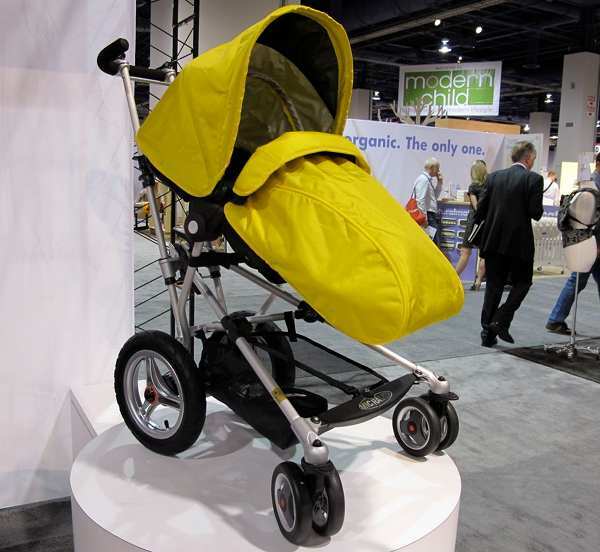 Micralite was in fine form with its Super-Lite pram (above) thrilling the punters – at just six kilograms, this is one little beauty which can be thrown into the car with ease, not to mention looking good as it goes! The lovely Toro (below) got a look in too in a beautiful shade of yellow. Hello there neighbours! 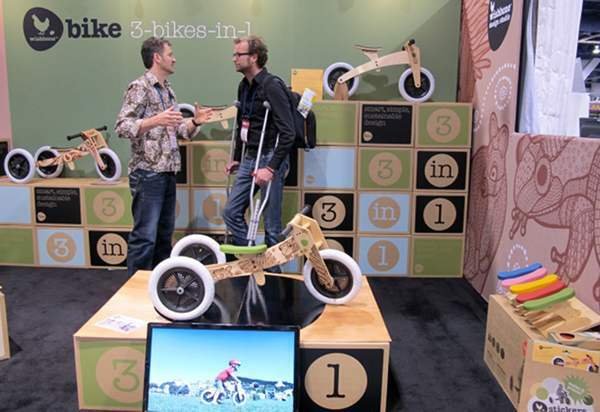 New Zealand company Wishbone showed off its groovy limited edition Wishbone Bikes as well as a new product, the Flip, which looks like a rocker and mini-scooter all in one. Genius! Get ready for a Dwell Studio organic collection! 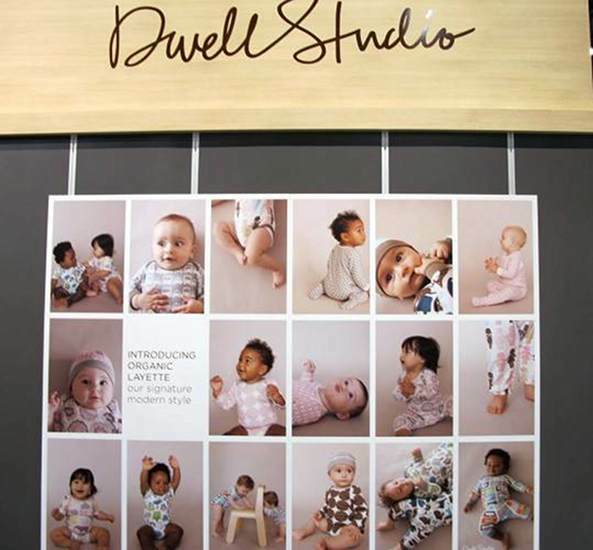 Dressing baby in Dwell will be the next big thing. 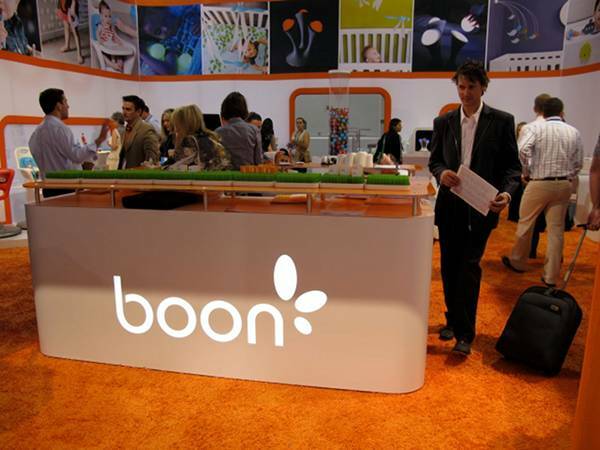 Boon’s stand was awesomely stunning. On show was its fabulous Glo night light. 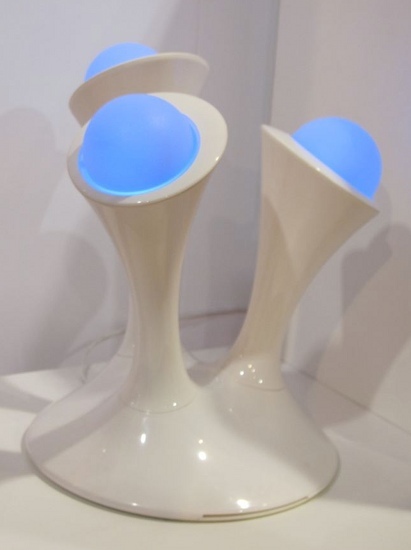 You can actually remove those glowing balls and tuck them into bed with your child or play a game of night catch! Be still my beating heart; it’s the stunning Svan Scooter in walnut. The design world has gone wild for walnut of late, as I noticed when writing the Eames Hang It All post in September. 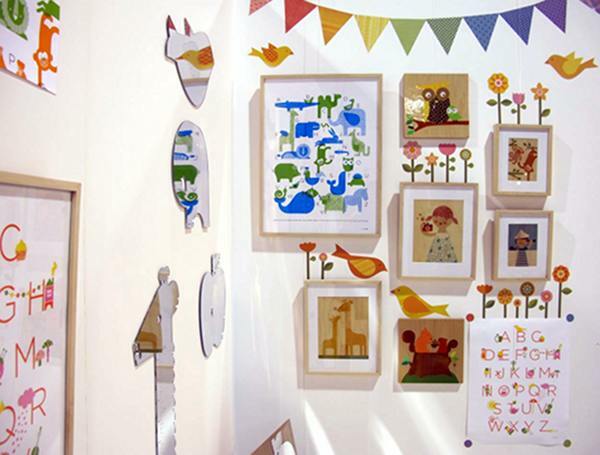 We’re loving the animal rocker chairs and wall hooks from P’kolino. The other P’kolino furniture was absolute must-see stuff and we love to see play incorporated into these functional pieces. 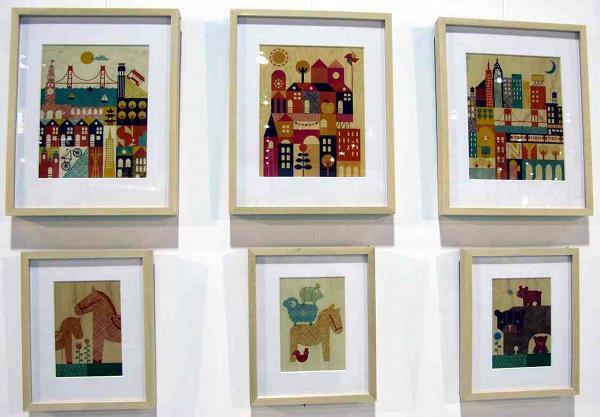 Look at these delightful softies and bibs from Egg by Susan Lazar. 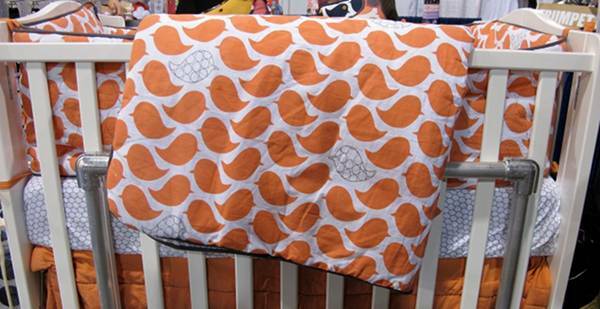 We wouldn’t say no to that gorgeous cot linen down there either! 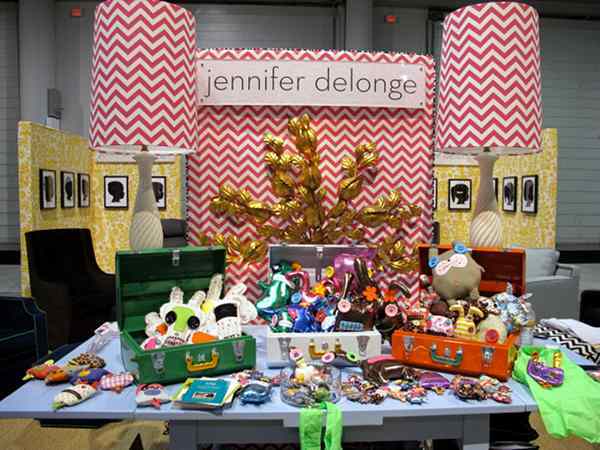 Are we surprised by the impeccable quality of Jennifer Delonge’s display of curious critters? Not one bit. This is one lady who knows how to make visual impact in the best possible way! 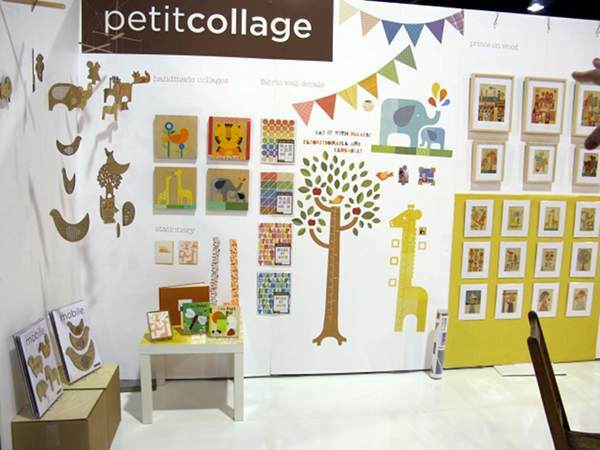 Petit Collage deserves some special love from us for this breathtaking display of artworks of many kinds. Adorable! 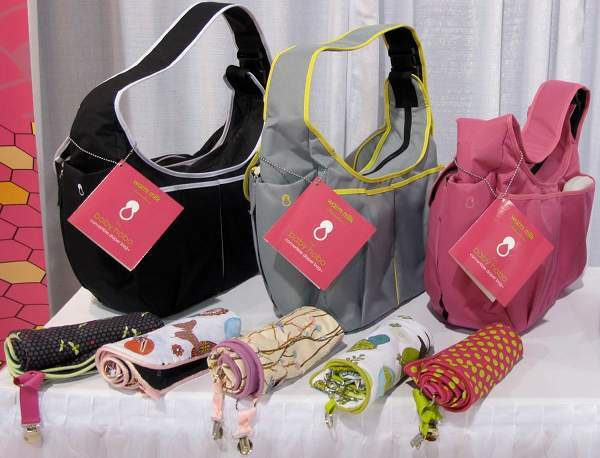 Here’s a rather novel invention – a tote which transforms into a nursing pillow! 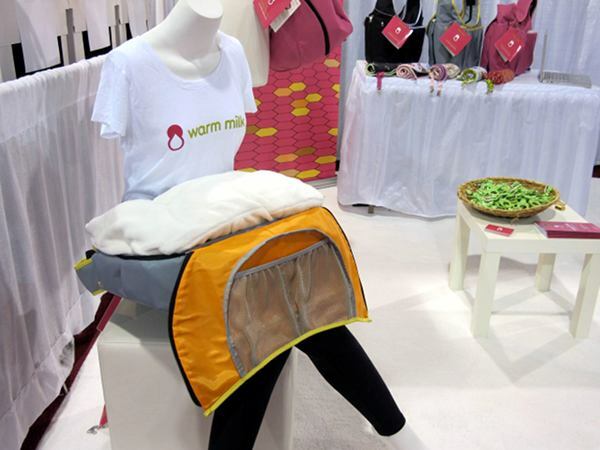 The Warm Milk Baby Hobo ensures no new mother is caught out on the run. 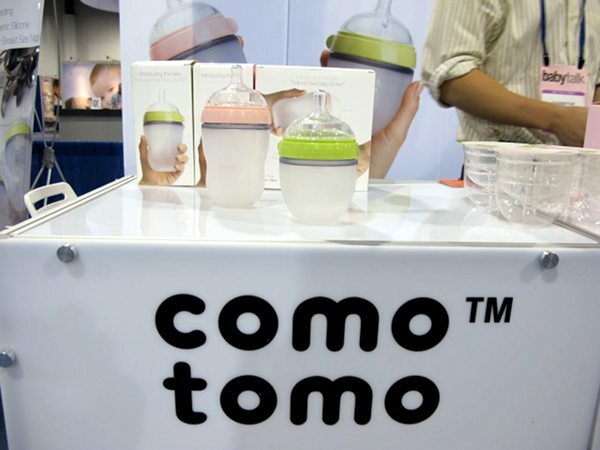 The Como Tomo silicone bottle is squishable and made to mimic a mother’s breast. We also like it just because it’s pretty! 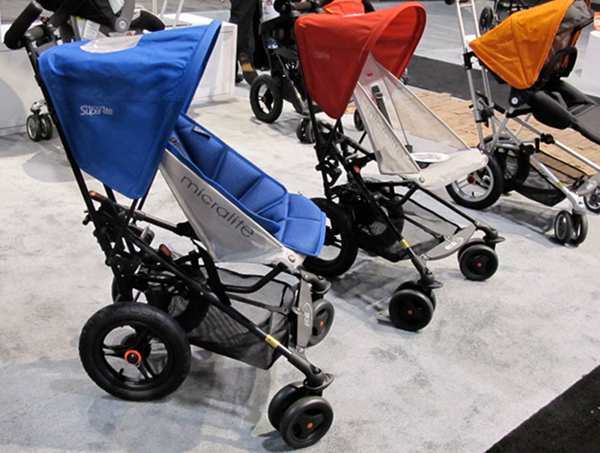 Thank you so much to Natasha Dumais of Ubabub for covering the show on behalf of Babyology. We think our readers will agree that you have done an amazing job, which isn’t surprising considering the quality and exceptional design of your own furniture and artworks!